Our automated messaging system allows you to easily send content to every phone number on your list. Search-and-rescue teams, schools, help desks, medical clinics, utilities and municipalities across the country rely on our solutions for emergency alerts and business related notifications. Our delivery system has capabilities to handle thousands of messages per minute, be it Voice, SMS, Email, Fax or Text-to-Speech. Reach thousands of worldwide mobile or landline numbers in minutes using a reliable and cost-effective service. 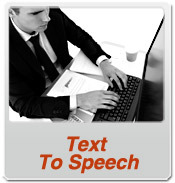 We support SMS texts (2-way), Voice (2-way), Text-to-Speech, Email and Faxes. Virtual mobile phone numbers (long codes) are available for 2-way SMS. 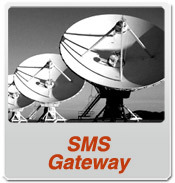 With inbound message delivery options for SMS texts and Voice broadcasts, SMS text replies from recipients or the input from dial pads can be captured. 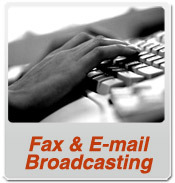 File types supported in our media library for pre-recorded content include text for SMS and Text-to-Speech, mp3/wave/gsm audio formats for voice broadcasts, and anything you can print for fax or emails. It is also possible to mix pre-recorded audio with computer generated Text-to-Speech. Group messaging delivers the same message to members of your group no matter how large or small. It is a most often used to remind members about events, meetings, special sales, deadlines and promotions. Messages are delivered within seconds to more than 200 countries worldwide. Our automated message delivery system makes it easy to send alerts & notifications, marketing messages or appointment reminders to groups. Messages can be customized to the individual or specific groups. Build profitable customer relationships by sending messages to targeted groups. Messages are created using either our web-based user interface (WUI) or via our SMS Gateway product line. Our WUI is pre-packaged with everything you need, and provides an easy means to schedule messages for delivery in advance, manually start, stop, restart or delete them, as well as track, record and view the delivery status using a drill-down capability for greater detail. As an alternative our SMS Gateway service can be used by our customers to create their own set of user interfaces and programmatically integrate with our system in the backend through a set of APIs. The gateway itself offers a choice of integration options (HTTP, HTTPS, SMTP) that is flexible to implement. Almost half of all missed appointments are so because they are forgotten. Reduce the number of no shows at your office by using our appointment reminders. Useful for dentists, healthcare professionals, lawyers, financial advisors, teachers, coaches, trainers, and utilities, our automated messaging system makes it easy to remind people, days and even hours in advance of their appointment. Recipients confirm or cancel appointments by replying to the message. Because some people need to be reminded a little differently than others, our reminder scheduler can be customized right down to the individual patient or client. Appointment reminders are delivered to recipients using different forms of communication including SMS text and Text-To-Speech. Our reminder solution is template driven meaning the content can be easily changed without changing the format. The bulk of the reminder remains the same while names, dates and times vary for each patient or client. With inbound message delivery options for SMS texts and voice broadcasts, SMS text replies from recipients or the input from dial pads can be captured for confirmations or cancellations. Our web-based user interface (WUI) provides comprehensive analytics that include call details and captured responses for appointment reminders. Starting from March, 2010, SMS Matrix is able to handle 2-way messaging using SMS, Voice and Text-to-Speech worldwide, to any country in the world, at very competitive prices. Users can take advantage of Matrix' Virtual Mobile Phone Numbers, and receive incoming SMS messages (e.g. replies, opt-ins, opt-outs) at their dedicated phone number. This is easy to use and much more cost effective alternative to having a dedicated short code. Sign up for Silver or Gold account, and we will assign free virtual mobile phone number to your account. The number can be used as caller ID when sending SMS messages. Your recipients will be able to reply to your SMS messages and our system will receive these SMS replies, or - in fact - all SMS messages delivered to your number. 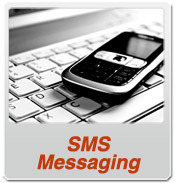 SMS Matrix mobile solutions with your system. Please contact us for details. One virtual mobile number comes free with each Silver or Gold SMS Matrix account; for an extra fee we can add more numbers to your account, as needed. Incoming SMS messages are charged at the same rate as outgoing. 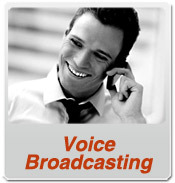 Transfered Calls are charged at the same rate as outgoing Voice call, billing is done in 1 minute increments. Virtual numbers are available for almost all US area codes; in the near future we will also provide numbers in Canada. Virtual numbers can receive SMS and Calls from any country in the world.